Spring is here. The issues surrounding head injuries, including concussions, have never been a part of mainstream conversation more than right now. 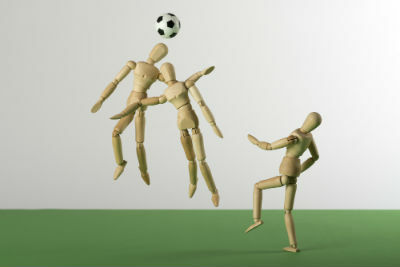 As we begin the Spring sports season, concussions and neck injuries are being reported in the pros and young athletes. Pee-wee and primary age athletic organizations have released new rules limiting contact during practices. Youth Soccer has changed their criteria for heading. Every athlete and parent is concerned about head injuries. As our kids become faster, stronger and start sports earlier, their chances of sustaining chronic head and neck injuries, and the likely result of long-term brain injury, is dramatically rising. The hidden tragedy is that every head injury has the potential to also damage the neck. Since the primary focus at the time of a head injury is the head, the neck is often overlooked. There are distinct signs of neck injury that can be found during an examination at the time of injury, as well as days, weeks, months and even years later. Due to the focus and pressure rising on concussions, the rapid forward-backward motion commonly known as whiplash has been swept under the rug, downplayed and often ignored. And yet, the vast majority of head injuries also have the mechanism to cause whiplash injuries. Whiplash and concussion have serious long-term effects, including depression, memory loss, fatigue, mood swings, headaches and chronic instability. Head and neck injuries also damage sensitive nerves in the region as they exit the spine. Damage to ligaments can mean continual nerve irritation and interference if proper care is not given. The effects from these injuries can last decades whether or not the person is experiencing pain. The potential for long-term effects has caused many to run away from activities they love and use to remain physically active. Rather than leave athletics, the Lifestyle Care Continuum of The 100 Year Lifestyle can help you correct and protect spine and nervous system subluxations that can affect the health of muscles, ligaments and vital organs. Crisis Care provides relief and stability to injured areas of the spine. It is essential that these injuries are given appropriate time to stabilize, as head and neck injuries have a high rate of lingering symptoms. The Critical Transition phase of care is essential to help minimize the long-term effects of these injuries. Major research centers still only recommend care for a couple of months following an injury, one of the probable causes for continued nerve damage. For people who have sustained previous injuries and those looking to avoid them, the spine and nerve protection afforded by Chiropractic Lifestyle Care contributes to optimum function and support, which can minimize the risk of future injuries. If you or a loved one has ever sustained even a mild head or neck injury, consider your long term health and get your spine and nervous system checked. The damage done by the injury may not surface for years to come, but your ability to protect your long-term health and well-being begins now.